The Chicago Transit Authority and Pace unveiled a new open fare payment system, Ventra, designed to provide its customers with a flexible and more convenient way to pay for train and bus rides. With Ventra, riders will no longer need to carry multiple cards, and will not have to worry about having cash on hand or exact change. Additionally, the tap transaction will be faster than inserting cash or magnetic-stripe cards into fare equipment, which will speed boarding and improve service. Customers can choose from Ventra Cards, Ventra Tickets for single-ride and 1-day passes, and personal bank-issued debit and credit cards equipped with a contactless chip. Ventra Cards and fare products will be sold at vending machines in rail stations, and will be made available at up to 2,500 retail locations throughout Chicago and the suburbs. The Ventra Card is a dual-purpose card that includes a Transit Account and an optional Money Network Prepaid Debit Account. In addition to using the card to pay for train and bus rides, CTA and Pace customers can activate the Prepaid Debit Account for everyday purchases like shopping online or buying groceries, and for paying bills and getting cash at ATMs. Cubic will begin installing the new Ventra fare machines at rail stations this October, along with new touch-pads on buses and at turnstiles. The fare machines and touch-pads will not be operational until the system’s pilot testing in spring 2013. Ventra will be available to all customers in summer 2013. 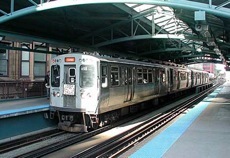 In 2014, all CTA and Pace fare media, including the Chicago Card and Chicago Card Plus, will be replaced with Ventra.